Kelly Poelker; in addition to being Steve Olsher’s Badass Assistant, is the Producer Extraordinaire of top-rated Reinvention Radio and Beyond 8 Figures with hosts Steve Olsher, Mary Goulet, and Richard Otey. 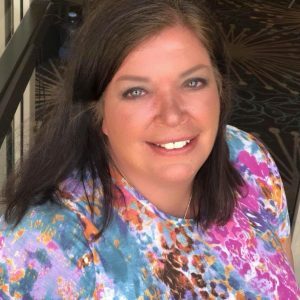 For over 15 years she has been active in various roles of producing live internet radio and TV shows such as The Mary Goulet Show and MomsTown TV in addition to once having her own show, Solo Biz Solutions Radio. She’s co-author of the bestselling book Virtual Assistant – The Series: Become a Highly Successful, Sought After VA, its accompanying workbook; and Working Virtually: Working Remotely As An Employee along with her own book, I Now Pronounce You Client And… Service Provider. Her company, Another 8 Hours, has been providing top-notch virtual assistant and business support services, consulting, coaching, and event management since 2000. Podcast Topics: We cover a wide array of topics because we are more about the person and their story of reinvention, rather than a specific topic. We’ve covered things like Foster Care, Drug Addiction, the Disabled, Veteran’s, the healthcare system, PTSD, domestic violence, prison reform, and more. Ideal Guest Avatar: The ideal guest on Reinvention Radio will have a very interesting backstory of overcoming adversity or turning a wild idea into a huge business or how they are impacting the lives of others in a pretty awesome way. We’re looking for lively and entertaining guests who can help our audience reinvent their lives and get from where they are to where they want to go. Experienced media guests, authors, seminar leaders, and teachers preferred. Advice for podcast guests: Know the host and producer BEFORE you make any contact. Listen to prior episodes and shape your pitch around the show content – don’t just send a press kit or release. Speak in sound bites and allow the host/s to direct the flow of the show rather than take over with your own agenda. Be responsive to the show hosts and provide the information they need in a timely fashion. They are doing you a favor by having you as a guest, not the other way around.